Appropriately so, the discussion around one-year anniversary of the American Recovery and Reinvestment Act focuses on its ability to create jobs. This is especially true on the transportation side of the ledger--after all, the transportation spending is consistently held up as the shining example of how the stimulus is working. But what of the spatial distribution of that spending? Here at the Metro Program we have long maintained that it is also important to consider where those projects are located because they don't exist in the abstract, but are unevenly distributed across the landscape of the nation. Because our 100 largest metropolitan areas harbor two-thirds of our population and generate 75 percent of our gross domestic product, it makes sense to leverage that economic might when making infrastructure decisions. Metropolitan areas are agglomerations of innovation and human capital. Metros offer more sustainable development patterns, which are supported by a range of transportation and infrastructure choices. In that regard, metropolitan areas are also where 72 percent of the seaport tonnage arrives and departs; where 78 percent of our interstate miles are travelled; where 92 percent of air passengers and transit miles are ridden, and where 93 percent of rail passengers board. So what do we know so far about the transportation recovery spending? Analyzing the latest Recovery.gov data we find that, overall, just 41 percent of the projects and 59 percent of the transportation spending occurred in the 100 largest metropolitan areas. As the table shows, this varies by mode, with aviation and highway funds both below fifty percent of total spending, while others--such as railroads and transit--have much higher concentrations in the largest metros. There are a few likely reasons for this spatial disconnect. First and foremost is that the table above reports spending through last December. Metropolitan planning organizations have one year to obligate their roadway funds, so the highway figures may change somewhat. Another is the federal government’s guidance to target funds in Economically Distressed Areas which, while laudable, seems to have served to spread money around haphazardly. Also there is the emphasis on shovel-readiness, and the real consequence that some states would lose a portion of their money if they didn’t spend it quickly. This proved to be a powerful incentive to obligate funds quickly, but created a bias towards “business-as-usual” delivery systems. My colleague Mark Muro points out the many innovations that accompanied ARRA, but for transportation, 60 percent of ARRA’s spending is in the hands of the states which have an uneven record on metropolitan issues. One of those innovations is the recently-announced Transportation Investment Generating Economic Recovery grants. 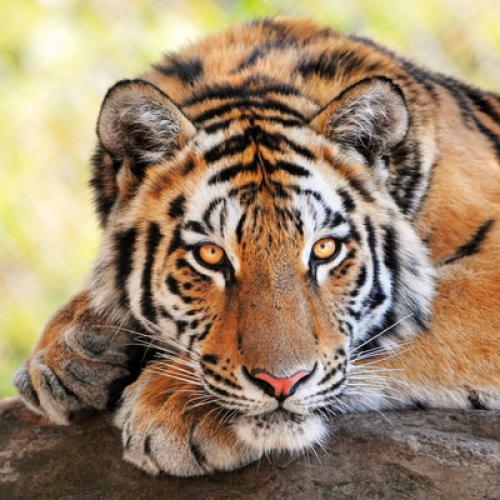 These so-called TIGER grants are much trumpeted by the U.S. Department of Transportation. And for good reason. This comparatively small $1.5 billion program was designed to fund competitive grants that support nationally, regionally, or metro-significant projects that may facilitate linking transportation, housing, energy, and environmental concerns. We will be writing more about the specifics of these projects--and the process for choosing the awards--in the near future. But what about the geographic spread? Over 80 percent of the projects and 70 percent of total TIGER funding is targeted to the 100 largest metro areas. (UPDATE: Further analysis indicates that, instead of the above, over 61 percent of the projects and 77 percent of TIGER funding is targeted to the largest 100 metro areas.) That’s not just the super-large places like New York and Chicago, but also important metros like Louisville, Tulsa, and Providence. As Washington considers the additional steps needs to retain and create jobs, the TIGER’s recognition of the economic primacy of U.S. metropolitan area should be illustrative.